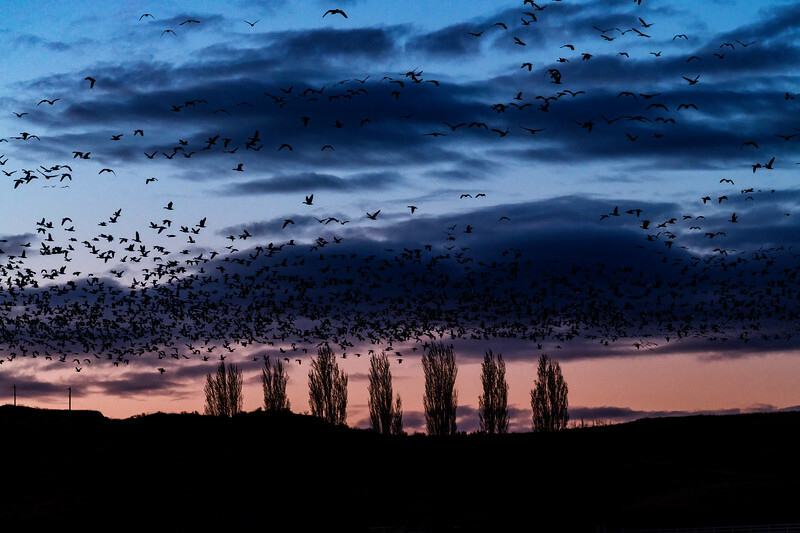 Snow Geese in flight as the twilight of dawn approaches. As they take off they begin the search for food. Searching over the farmland of south western Idaho.